Bobby Hebert's postgame press conference bracing of Coach Les Miles after LSU's BCS championship game loss to Alabama may result in a loss of media credentials to future Tigers' football games, the university said Thursday, but will not provoke a sanction from his employer, WWL AM-870. "Bobby's in no trouble," said his radio boss, Chris Claus. "The tone of the question Bobby asked was not appropriate. The content of the question was fine, and Bobby knows he made a mistake. Bobby's incredibly passionate about LSU, and his emotions bubbled up, as they often do." Claus, New Orleans vice president and market manager for the fleet of Entercom Communications Corp. stations, for which WWL serves as flagship, said he met with Hebert earlier this week to discuss the incident. "He recognizes the tone was a mistake," Claus said. "His manner of questioning coach Miles was better suited for his radio show, rather than a press conference." If you haven't already seen the video, go here for the rant that started the controversy. 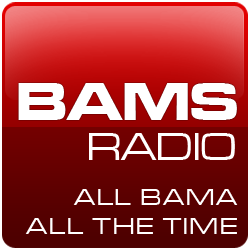 Bobby had a guy come on his radio show and sing a song about how LSU was going to beat Alabama in the game . along with other assorted Bama bashing the shows tone was anything but about the Saints like it should be . Show some CLASS Bobby !